Paul's Garage (formerly Tony's Service Center) has been in business for over 24 years, serving Union and the surrounding communities. We are an ASE Certified Automotive Repair Shop, and service all foreign and domestic makes & models. 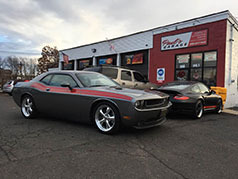 Tony's Service Center was started in 1987 by Anthony Gaspar, and has been owned and operated by Paul Carvalho since 2008, a former employee for over 12 years. In 2011, the name was changed to Paul's Garage. 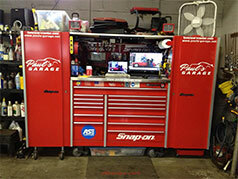 Paul is an ASE Certified Auto Technician with over 20 years of experience in the auto industry. We pride ourselves in servicing our customers with a "family- friendly" atmosphere. Most of our customers have been coming to our shop, since the day it opened it's doors in 1987. Paul continues the tradition that Tony established 25 years ago.